The purpose of our advocacy section is to provide news and information about the state of world language education in general, as well as Spanish and Portuguese in particular, in the hopes of promoting the study of languages and cultures at all levels. Here we share possible advocacy projects, describe ideas on how to create or build upon programs, demonstrate ways to influence language policy, and finally, acknowledge the benefits of the Spanish and Portuguese languages. 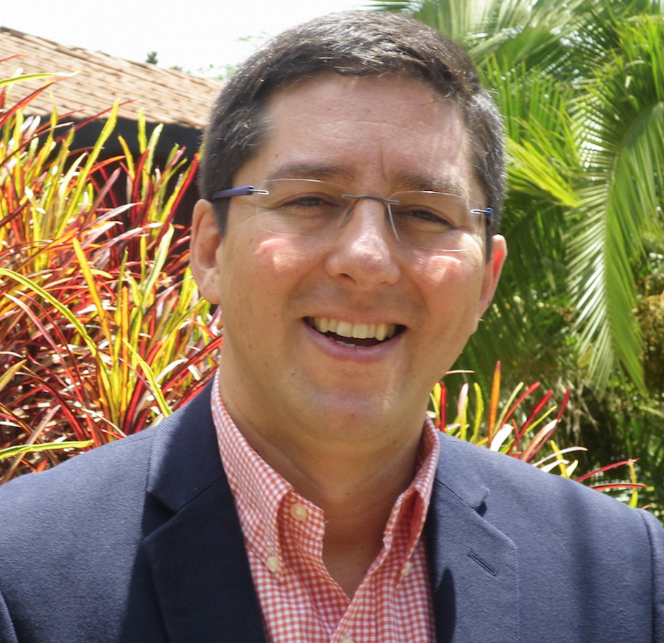 Click here to access his plenary presentation. According to the U.S. Census Bureau, more than sixty-five million U.S. residents speak a language other than English at home—a number that has been growing decade by decade since the 1970s. Nevertheless, that number represents only 20.7 percent of the total population, and only a fraction of this cohort speaks, reads, and comprehends a second language well enough to use it in their everyday lives.2 The vast majority of American citizens remain monolingual. While English continues to be the lingua franca for world trade and diplomacy, there is an emerging consensus among leaders in business and politics, teachers, scientists, and community members that proficiency in English is not sufficient to meet the nation’s needs in a shrinking world, nor the needs of individual citizens who interact with other peoples and cultures more than at any other time in human history. 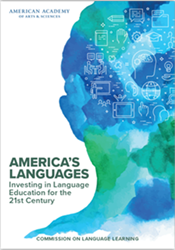 In this report, the Commission on Language Learning recommends a national strategy to improve access to as many languages as possible for people of every region, ethnicity, and socioeconomic background—that is, to value language education as a persistent national need similar to education in math or English, and to ensure that a useful level of proficiency is within every student’s reach. As children prove especially receptive to language education—they spend much of their time in educational settings and can develop language skills gradually throughout their lives—the Commission believes that instruction should begin as early in life as possible. Its primary goal, therefore, is for every school in the nation to offer meaningful instruction in world languages as part of their standard curricula. As a corollary, the Commission urges two- and four-year colleges and universities to continue to offer beginning and advanced language instruction to all students, and to reverse recent programmatic cuts wherever possible. It also applauds recent efforts to create new undergraduate language requirements on two- and four-year campuses. Click here to access the report online and download a PDF. others as well as ourselves. expertise to serve in diplomatic, military, and cultural missions around the world. The Washington Post published this article on November 25, 2016, that examines the importance of language and culture in today's world of work. "The intrigue and allure of discovering new parts of the world is one reason many people list travel at the top of their bucket lists. It is also huge draw for career opportunities, especially for millennials entering the workforce seeking adventure and new challenges with global companies. And even for those who don’t seek positions abroad, the demand for international competencies at all firms is growing. According to U.S. Census data, one in three U.S. mid- and large-size companies have international operations or serve multilingual clientele. Job candidates can set themselves apart by showcasing the global assets they bring to the table. This was the message from participants of a recent panel discussion, “Global Competencies for the 21st Century Workplace,” earlier this month at the University of Maryland’s Robert H. Smith School of Business. The panelists – all in leadership positions with international firms – had advice for students ready to hit the international job market. So what does a candidate seeking an international career really need?" Read the complete article for details! Though English remains, for the moment, the primary language of international commerce and pop culture, there’s another language that’s shooting to the top of the popularity charts – and no, it’s not Mandarin. Spanish is currently one of the most popular languages for students and professionals alike – and it’s only becoming more useful, especially in the United States. Click here to read the complete article. The AATSP supports the MLA's 2015 statement on electronic publications. Click here to view the entire statement. Writer Kayla Matthews provides an overview of the advantages of being multilingual in today's world. The Economic Value of Spanish as an International Language (PDF). Click here to access all of Telefónica's publications, including Spanish language versions of the above documents and mobile epub formats. Click here to access recent regional reports on the use of Spanish from Brazil, Canada, Hong Kong, and the United States, in addition to valuable articles on language, politics, culture, and other topics from a variety of sources. October 2014. After submitting a reply to the Office of Science & Technology's request for information regarding the American Strategy for Innovation, JNCL-NCLIS has prepare this short summary of the arguments for language as an essential element in a national innovation strategy. Click here to read the brief. This site provides statistics and other research on the benefits of language learning for elementary-age students. Click here for more information. The following article promotes the study of world languages in general, the study of Spanish in particular, and study abroad for all students. How do we support world language learning? and lead to higher pay. If the goal of any educational system is to produce well-rounded and productive members of society, it goes without saying that world language education is an integral part of the process. The U.S. is the only industrialized nation that routinely graduates students from high school with knowledge of only one language. We cannot send students into the world as monolinguals and feel confident that, with its ever-growing global interconnectedness, they will be economically secure or culturally aware. Competence in other languages is no longer frivolous; it is fundamental.